Voice Festival UK came to the University of Birmingham on Saturday 25th of February for a regional round of its nation-wide competition. 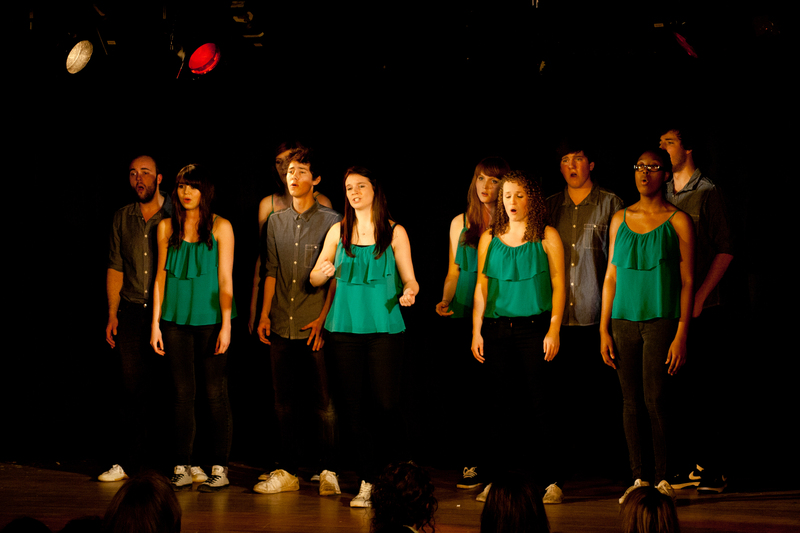 Three a capella groups from Birmingham, and one from the University of Leeds, sang their hearts out to win a place at the London final, with the ultimate hope of winning a cash prize and the coveted title of ‘Best UK University A Cappella Group 2012’. While certainly thrilling for the contestants, the evening was extremely enjoyable for the audience also. Parents, friends and random spectators alike really got involved and it was clear there was a lot of support for the singers and the competition in general. The evening ran surprisingly smoothly, thanks to a great technical team and the funny and engaging compere, Matthew Saull. Evidently, a lot of work had been put into the event so as not to detract from the sole reason for being there; to hear the performances. The night began with an excellent set of vocal arrangements by The Sons of Pitches. 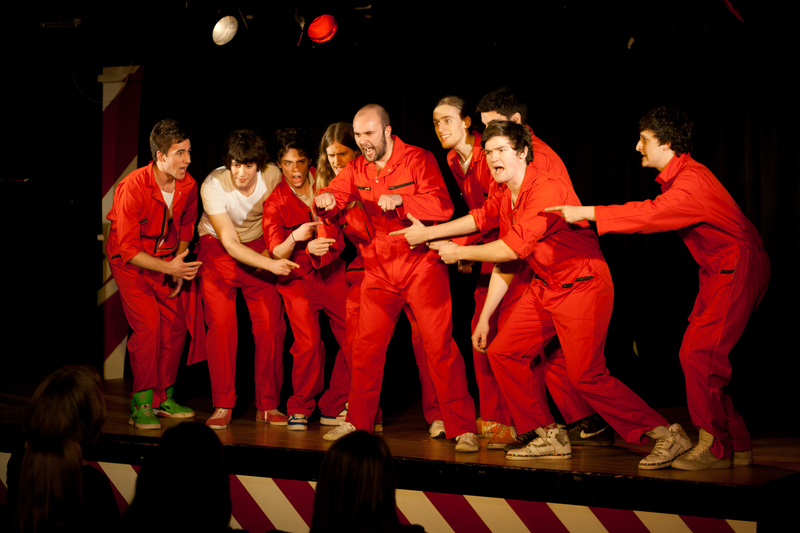 Dressed in matching, bright red boiler suits, the group came on to the stage in a burst of energy that was consistent throughout their performance. With mellow and harmonic tunes such, as Kimbra’s Settle Down, as well as an inventive and funny Club Medley, the group’s flexibility and choreography reflected their talent and definitely won the audience over. The next act from Birmingham was a newly-formed mixed-group, Voice Versa. Whilst more self-contained than the previous act, their performance was strong nonetheless. Their arrangement of Cyndi Lauper’s True Colours was especially superb and caught the interest of the judges who gave them a special award for it at the end of the night. Despite being the only group from Leeds, the men and women from 95 Keys stood their ground and delivered three powerful arrangements. Their rendition of Chicago, with solos by vocalists, J Fogel and Hannah Perlin, was especially moving and highly appreciated by the judges. 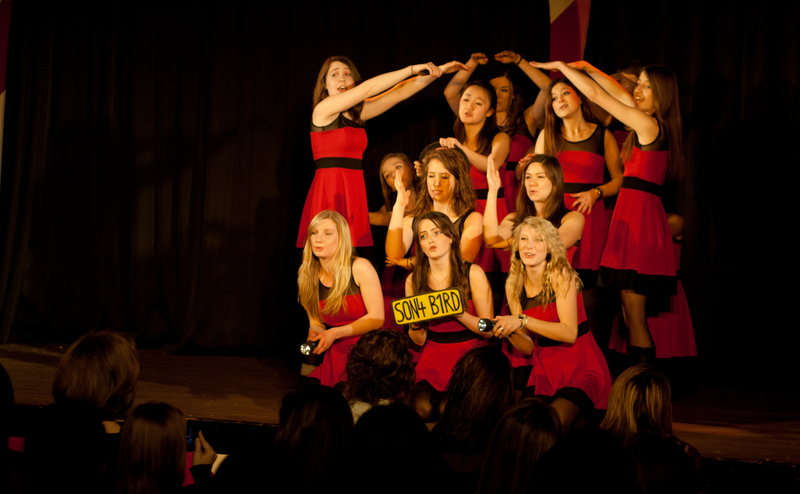 The final group, the all-girls Birmingham Songbirds livened the night with their red dresses and fun choreography. Complete with Beach Boys and Spice Girls medlies, their act was vigorous and entertaining. After an interlude with one of the University’s very own stand-up comedians, the judges came on stage, thanking all attendees and participants. Awards like ‘Best Choreography’ and ‘Best vocal arrangement‘ were deservedly given, building the suspense before revealing who was going to London. It had obviously not been an easy decision, but after much deliberating The Sons of Pitches emerged victorious. Their encore performance ended the night on a high; it was a successful evening and great advertisement in general for Voice Festival UK. For more info on Birmingham University’s A cappella scene, click on links to the groups’ webpages and University of Birmingham A Cappella Network on facebook. 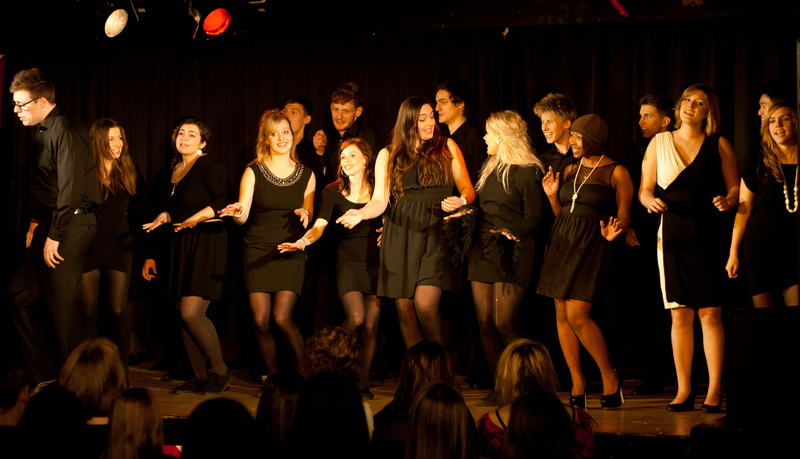 This entry was posted in Dance, Music, University of Birmingham and tagged 95 keys, a cappella, birmingham songbirds, club medley, comedy, entertainment, the sons of pitches, university of birmingham, voice festival uk 2012, voice versa. Bookmark the permalink.